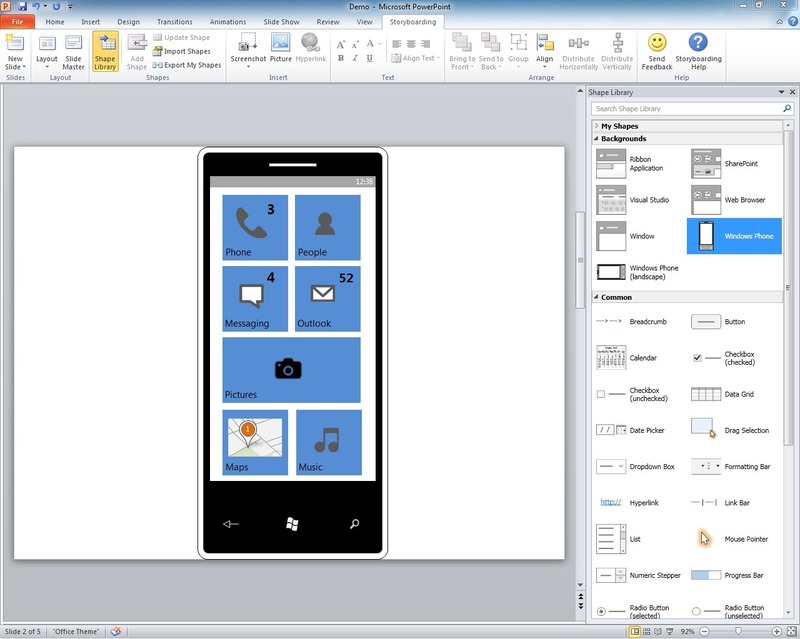 To quickly manager requirements (thus the lightweight), a plugin for PowerPoint will be available. This plugin will help create storyboards in a familiar environment to allow for stakeholders feedback. One of the great advantage of this solution is that after completing your storyboard you’ll have a real presentation to show. 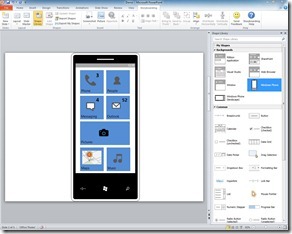 Storyboarding your application using PowerPoint before starting the development enable a first feedback. 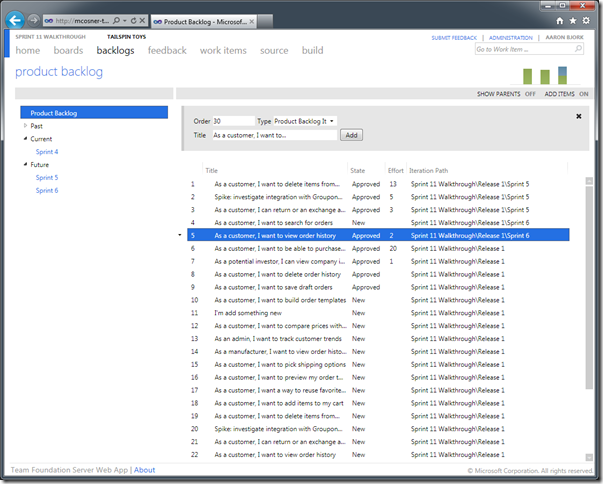 To have access to feedback when developing, Microsoft will introduce a new tool based on the Visual Studio Test Professional 2010 Test Runner. 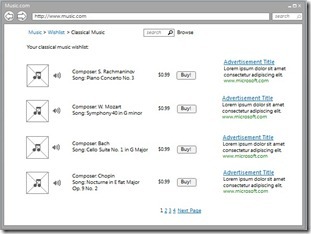 This tool will collect various data (video, audio, user actions, …) while the user is exploring the application. 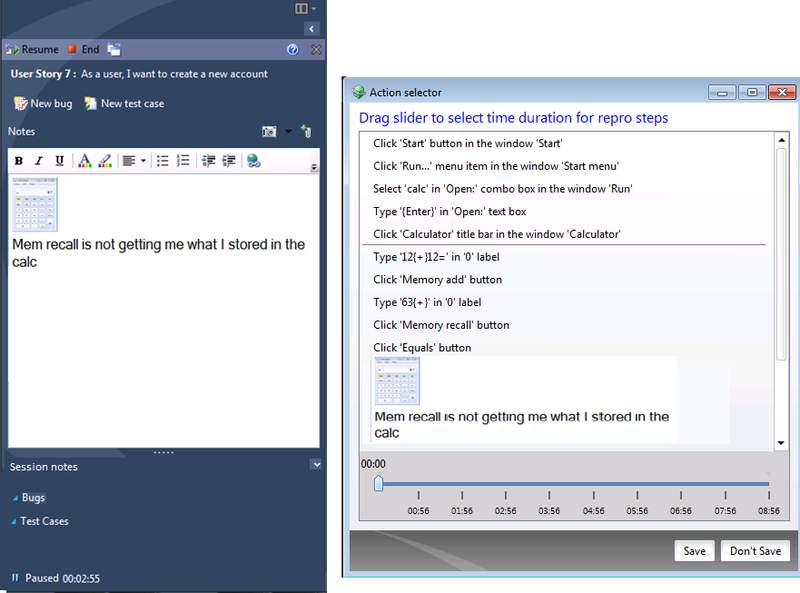 At any time he will be able to fill a feedback which will create a work item in TFS containing all the collected data. 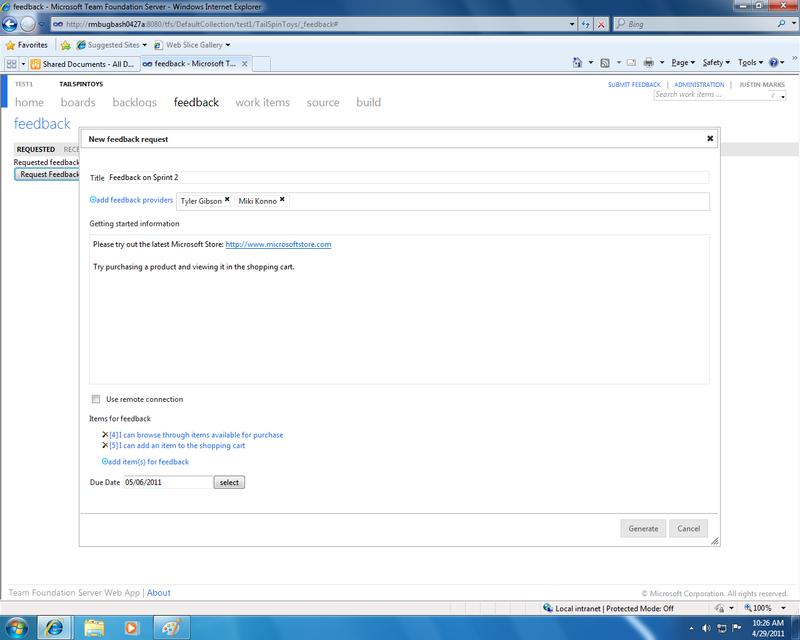 On the web access web site, a tab for feedback is present to facilitate communication between the development team and the stakeholders. 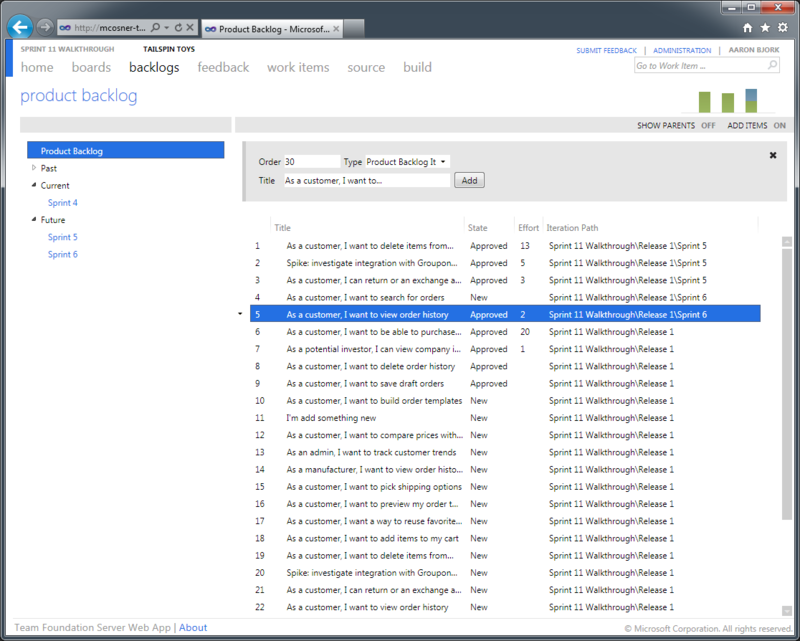 A backlog management page where we can easly reorder items using drag & drop. 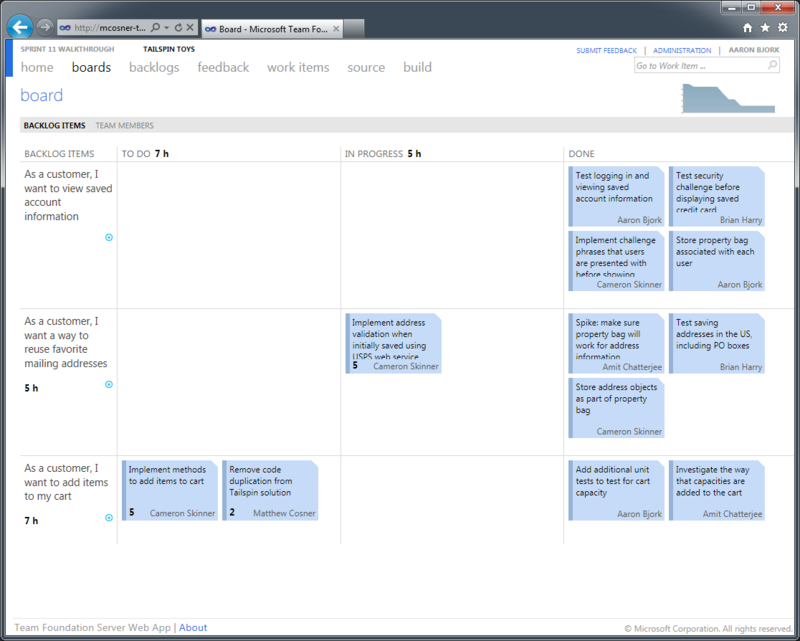 A task board to follow and update work items status using drag & drop. As you can see on the screenshots, the web site style was modified to follow the METRO design guidelines. Using the guideline, HTML and AJAX, the web site is now really reactive and usable for day-to-day work. The UI was redone to help see whats important for the developer. Unit tests are now automatically run in background. Some bugs are not found during quality testing. We speak of exploratory tests when the user is free to do whatever he wants with the applucation to find bugs (not following a scripted scenario). In those case it can be difficult to have repro steps when a bug is found. 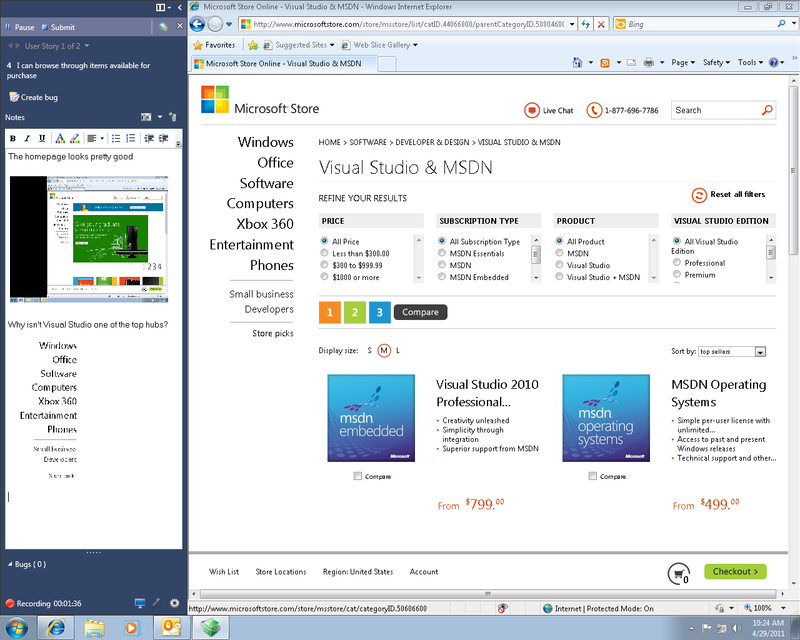 To help with those scenario, Visual Studio will support those tests by using as new Test Runner without steps. This tool will, like the test runner, collects data while the user does his test so that they can be added to the bug work item. 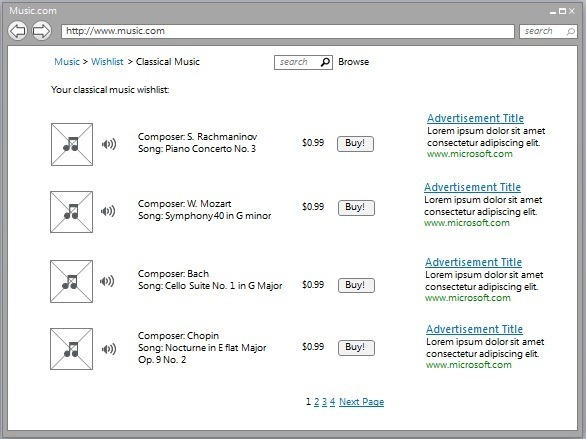 To support interaction with operations, Microsoft will release a new connector for System Center Operation Manager. This connector will be able to create work item in TFS when a problem is found using SCOM on an application in production. For the fans of IntelliTrace, Microsoft will have an IntelliTrace version for production scenario! The Team Explorer tab in Visual Studio will be replaced by a new Team Navigator. It will be simpler to use and will support the notion of work context. What’s this? When a developer will start to work on a new task, he’ll indicate it using the UI. 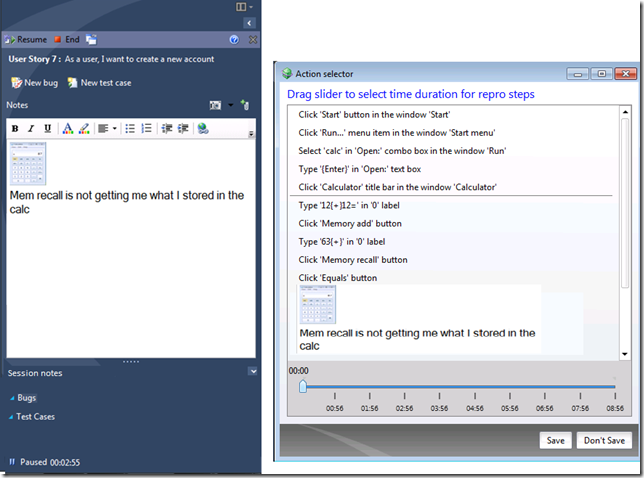 Visual Studio will track the modification done and will link them to the current task. 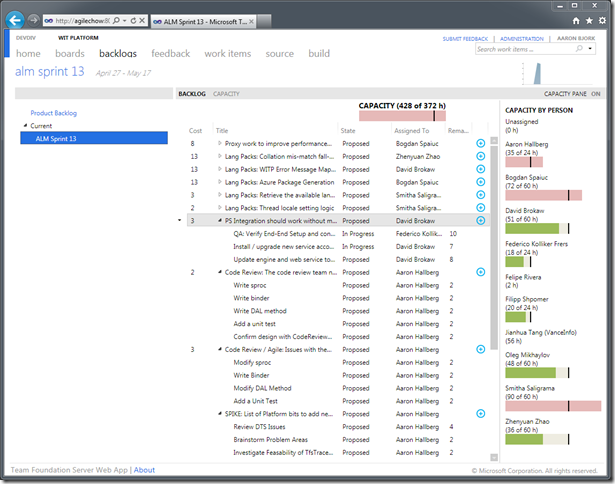 If the developer needs to switch task (for a bug correction for example), Visual Studio will package all the context and linked it to the task. When the user will resume this task after completing the other one, all the context associated with the task will be restored automatically! 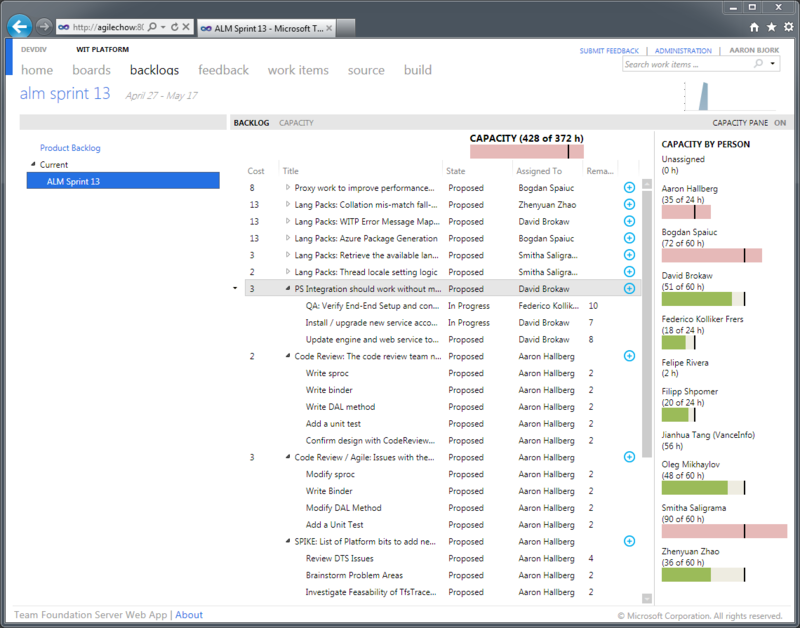 Other features were talked about like a new code review tool, a new comparison tool, … for more information you can read the “Visual Studio vNext: Application Lifecycle Management” whitepaper released yesterday.